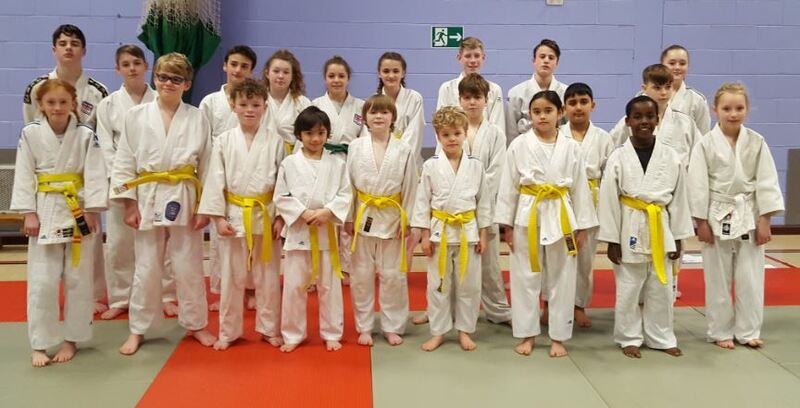 Congratulations to all those that took part in the Grading held at Earl Shilton, Leicestershire. I would like to take this opportunity to introduce myself as the new Chairman of the National A.J.A. Committee with a very brief history of my judo life. My interest in judo began in September 1964, when a judo coach came to my class at school asking if anyone would be interested in learning Judo. The following Saturday I went along to the class which was held at Loughborough College. Two years later I gained my Yellow belt 2 Orange tabs. This was when I took out my membership with the A.J.A. 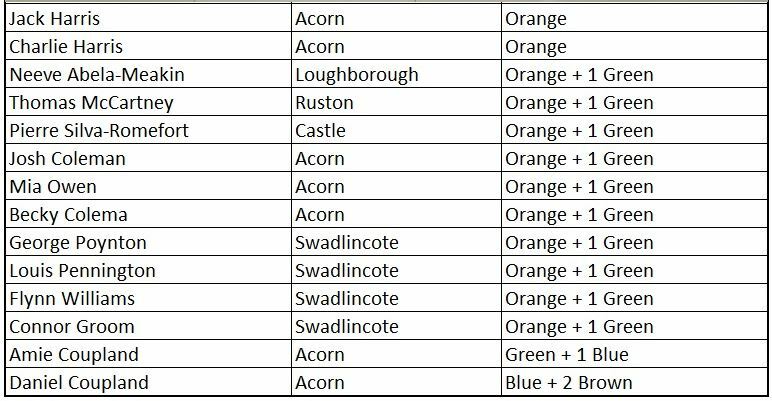 The East Midlands area was very strong at the time. At eighteen I also joined the Loughborough University Judo Club, we had a Japanese instructor who was only ever known as Foo. I travelled to many interesting venues with the university during my teen years. 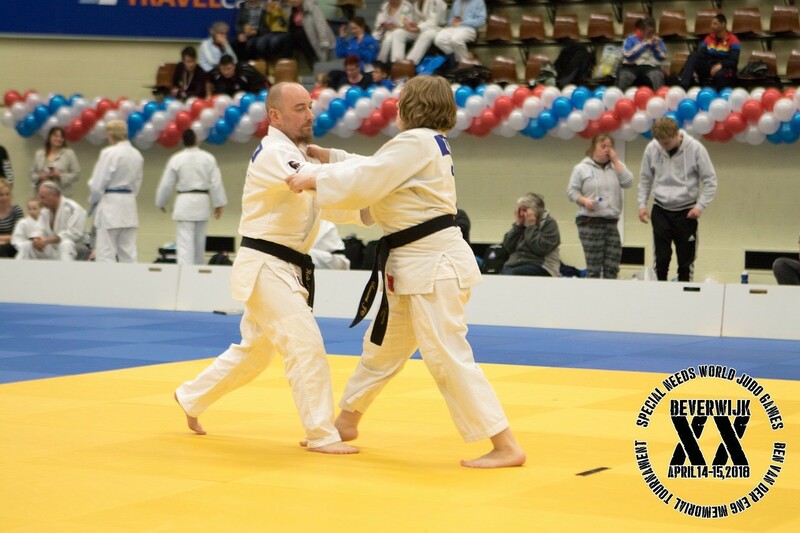 Judo became a big part of my life, but only as a hobby fitting round my working life. Never the less I trained every night I could and attended competitions at the weekends. 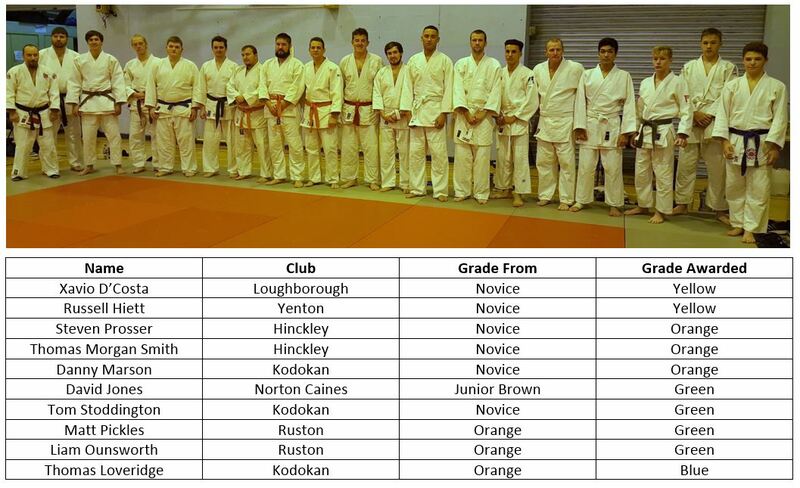 I was there at the start of Loughborough Judo Club with Mr Keith Hudson. We trained together for the best part of nineteen years. 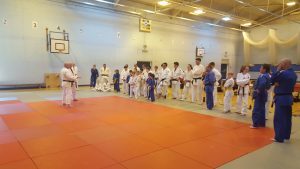 I later went to coach along with Paul Bennett and his wife Jean at Market Bosworth Judo Club. 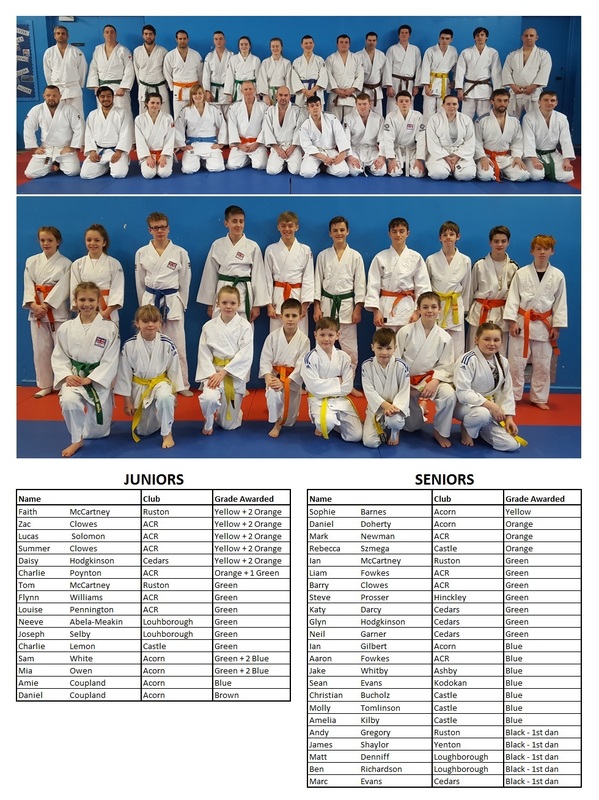 We had a very successful club and held many competitions always in June and attracting over 300 competitors; some of the older judoka may remember these times. I later took over sole running of the club. 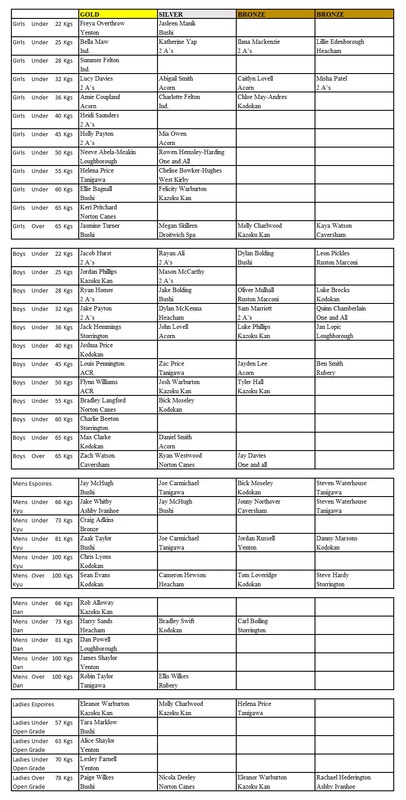 I took up coaching in the 1980’s coaching at several clubs around the East Midland Area. 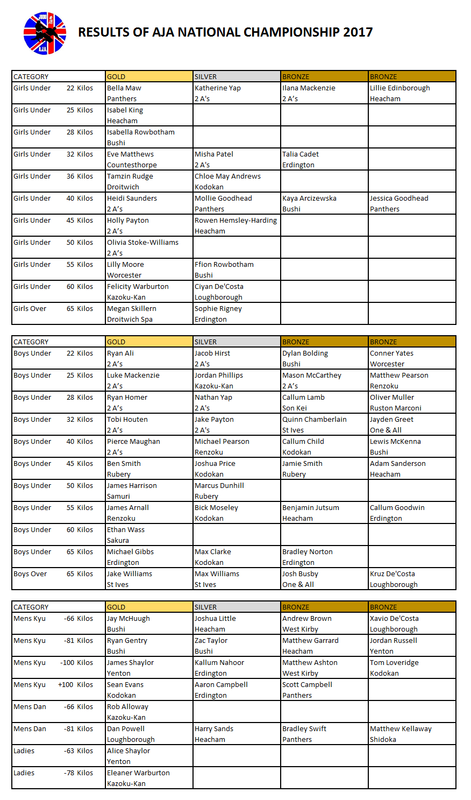 I also coached at a BJC Club in Shepshed for many years. I became a member of the A.J.A. 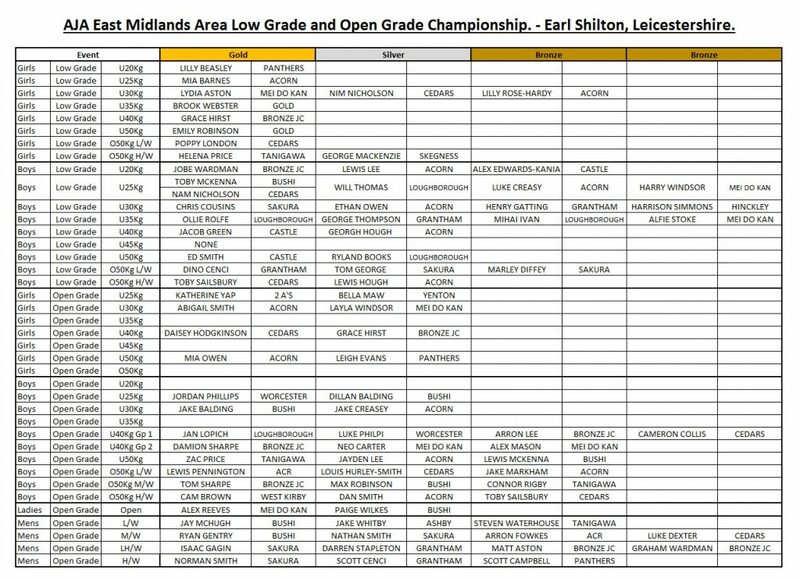 East Midland Area Committee as club representative, I later became East Midlands Area Coach promoting my interest in the Judo Kata’s. I have spent the last fifteen years as NEC Officer for the East Midland Area and before that attended many AGM’s . In 2014 I was promoted to my present grade of Yodan (4th Dan) by Mr Roger Downs at the NEC. Mr Downs sadly passed away in 2017 and I was approached at the beginning of 2018 asking if I would be interested in the position of Chairman of the A.J.A. I said I would be happy to accept the position if I was elected by the members. 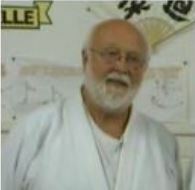 I currently run Loughborough Judo Club after the founder Mr Keith Hudson retired due to ill health. I have a very good team surrounding me at Loughborough. I look forward to being a part of the continued success of the A.J.A. 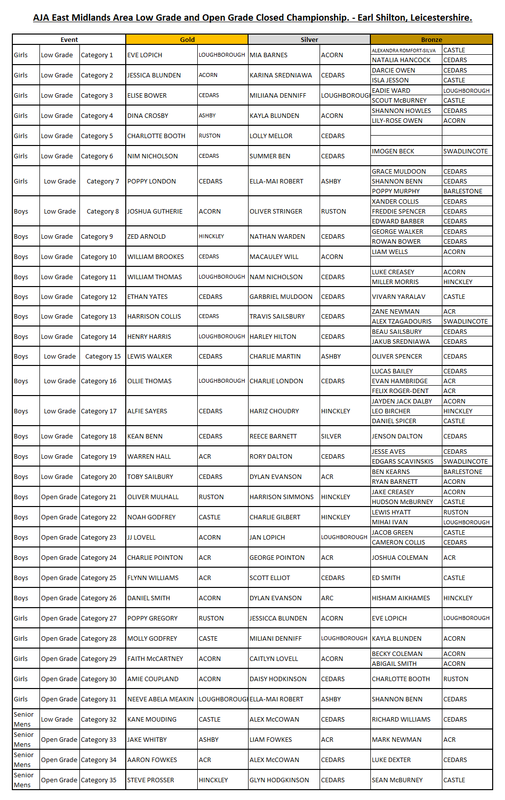 Click here to download results and pool sheets etc. 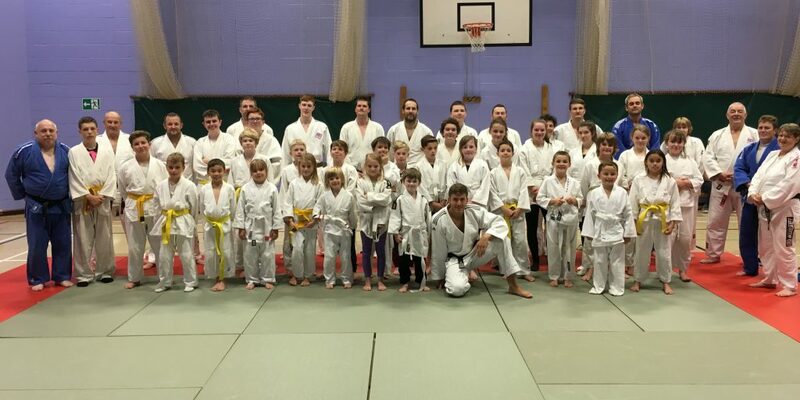 The East Midland Area of the AJA were very proud to host the 1st Master Class with Dan Powell held at the Cedars Judo Club venue in Earl Shilton. The day was a great success with a wide variety of grades and ages attending. Dan was one of the British Judo stars competing in the 2012 London Paralympics and more recently known for his appearance on Ninja Warrior UK. His aim now is to keep to his busy training schedule and bring the UK medal success in the 2020 Tokyo Summer Paralympics. 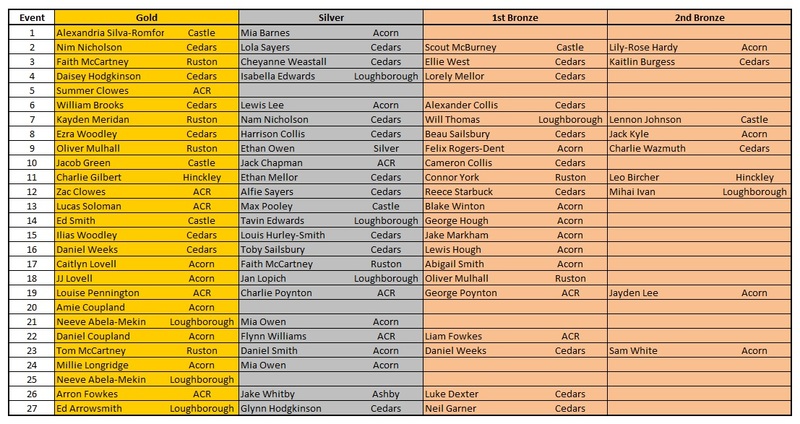 Saturday 25th August 2018 – Two AJA players crowned British adaptive judo champions. 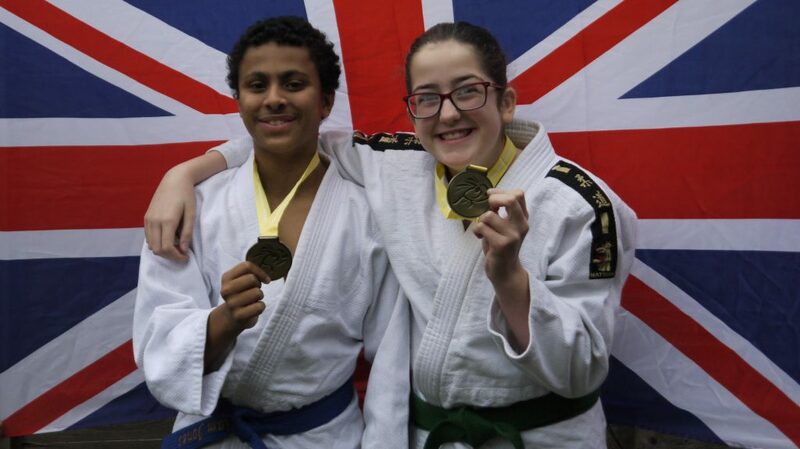 On Saturday the 25th August, Kazoku-Kan members Felicity Warburton and Liam Jones both headed to London to participate in the British Adaptive Judo championship event. Liam was up first in the morning. Liam took his first opponent down with an impressive O’Soto Gari leg reap for a straight out win. In the semi-final his opponent gave him a fair pull but Liam once again pulled the victory out of the bag with what was fast becoming his trademark technique of the day, O’Soto Gari! In the final, his opponent was another tough fight but Liam took him down to the mat and held him down for the winning score of Ippon. Felicity was up in the late afternoon. Right from the start Felicity had a tough category, but regardless her first fight resulted in a fantastic throw to score the win. Her second fight was a tough pull but after a variety of techniques took her opponent off her feet for the winning score. Her semi-final opponent was a tough pull, and almost got Felicity down several times, but a well timed reversal put her into the winning position. Her final fight was a very tough one but she put everything she had left into the fight resulting in her final win. Kazoku-Kan train every Wednesday from 7pm and every Friday from 6.30pm at Physique Fitness in Droitwich Spa. 2 great weekends of Judo Training as a pre-warm up for the AJA National Team competing in Mierlo Holland on the 12th 13th May. The training was split into 2 weekends with guest coaches providing the instruction. 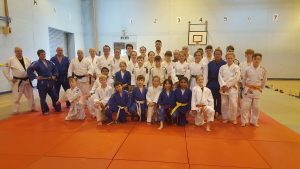 The first Session was coached by Wayne Lakin (4th Dan, former British & Commonwealth Champion and a 1996 British Olympic Team reserve). 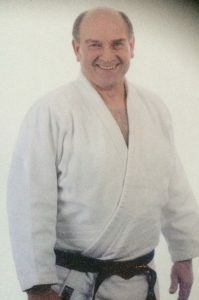 The second session was taken by Colin Brealey (4th Dan, Former Commonwealth medalist and British masters Champion on numerous occasions). 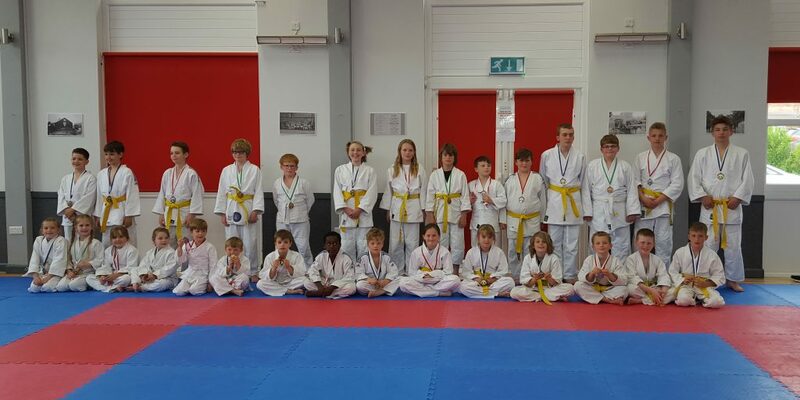 On the 13th April, Kazoku-Kan took 3 Judoka across the sea to Holland to compete in the SN World Games in Beverwijk. The largest SN competition in the world, set over 2 days saw no less than 550 competitors of all additional needs from all over the world taking part. 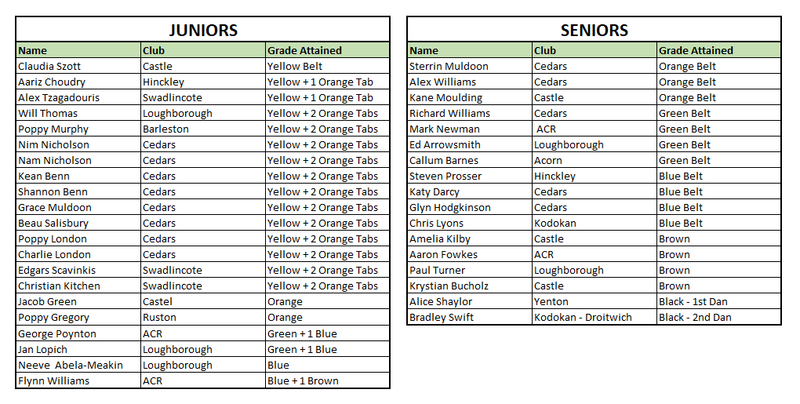 Felicity Warburton from Blessed Edwards Catholic School, Liam Jones from Rigby Hall School in Bromsgrove, and Kazoku-Kan’s very own head coach, Rob Alloway. Liam and Felicity were fighting on Sunday and were in a poole of 5 people each. 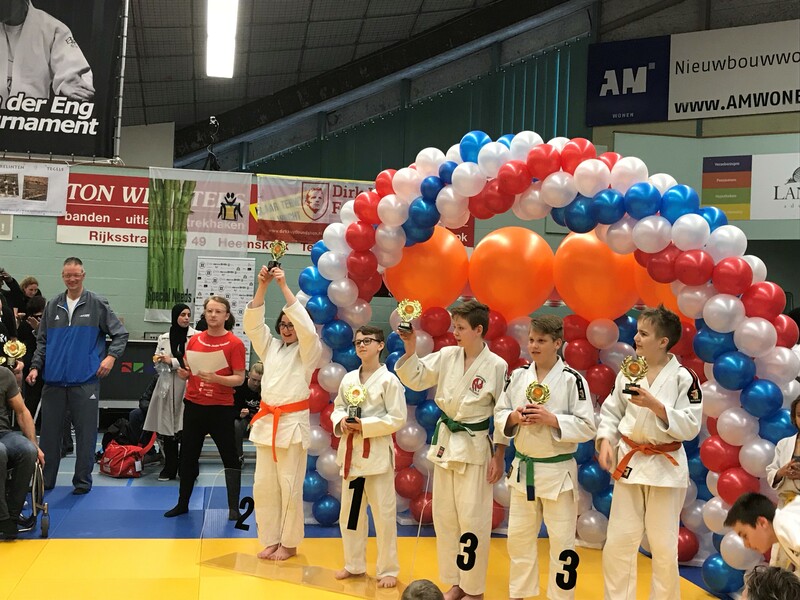 Felicity, being the only girl in her category, took her first opponent down with a fantastic leg reap, she was unlucky in her second and third contests but came back strong with a fantastic outer leg reap to secure the victory and earning enough to grab the Silver medal. Liam put up an equally strong show with his fights, winning his first with a body drop technique, losing out on his next contest but coming back strong for the third for a definitive win, losing out on his 4th contest but making enough attacks against his fellow competitors to get the Silver medal in his category. 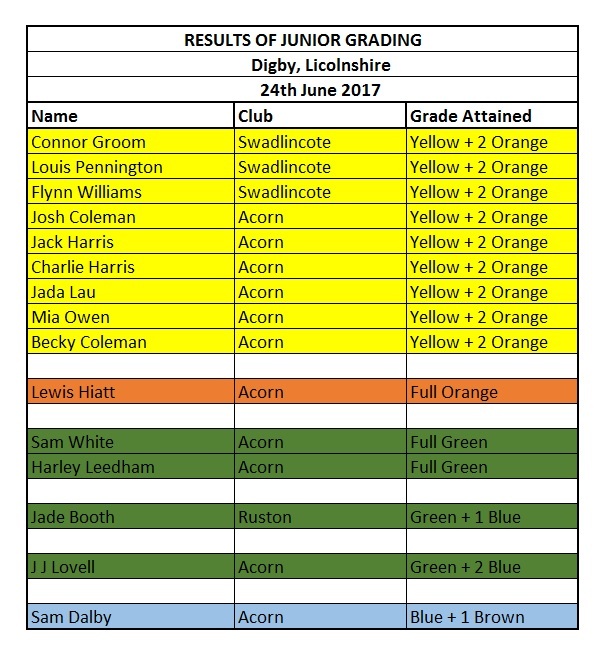 Rob was taking part in the Kata section of the weekend on the Saturday by partnering with Samurai Judo club’s own Olivia Turner, coming 4th overall out of 10 pairs in the the Nage-No-Kata, which is a standing performance of the Kata, missing out on the Bronze by 4 points. 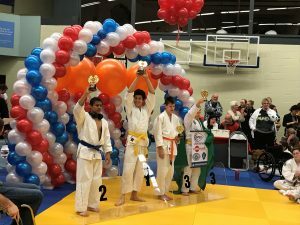 In the Katame-no-Kata which is a ground based series of holds which need to be executed as perfectly as possible, the pair did well enough to grab the Bronze medal. 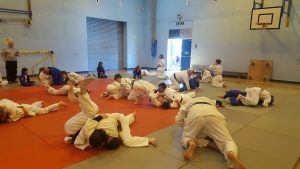 Around 30 Parent, Coaches and Members of One and All judo club are taking the Tuff Enuff challenge to be held in Cornwall on the 26-05-18. This is to aid fundraising towards extra mats to meet the growing needs of the club. 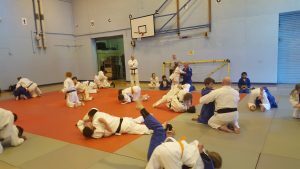 Friday 26/01/2018 was Kazoku-Kan’s second monthly randori night where our members are able to test the skills they are learning out in a friendly atmosphere. 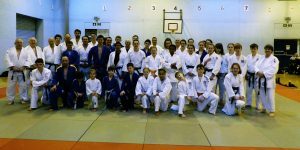 To round off 2017 we had a randori night on the last Friday of the year to finish the year off on a high. About half our members turned up to create a great atmosphere in the period between Christmas and New Year’s. After reviewing it we have decided to repeat it on the last Friday every month. Tonight we had 17 members on the mat aged between 6 and 17. 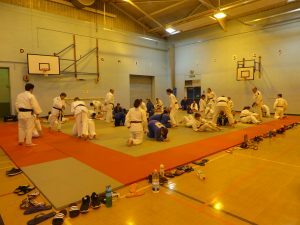 The format of the night is a 10 minute warmup followed by groundwork randori and then standing randori to finish the night off. Everyone was able to get a lot out of the evening with the higher grades testing each other out when practicing with each other and passing on their knowledge when paired with less experienced players. We would like to invite players from other clubs to join us on the last Friday of the month and test your skills out. Your first session will be free and after that it is £5 per session. Qualified coaches and instructors will be free if you bring your players along and help on the mat. 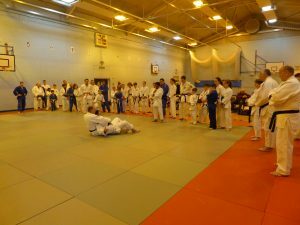 Randori Night Last Friday of the month 18:30 to 20:00.